Roblox is a widely popular platform where users can interact with each other in virtual 3D and play thousands of games that were built by other players. The social phenomenon has grown by leaps and bounds, along with the imaginative creations found within its digital borders. 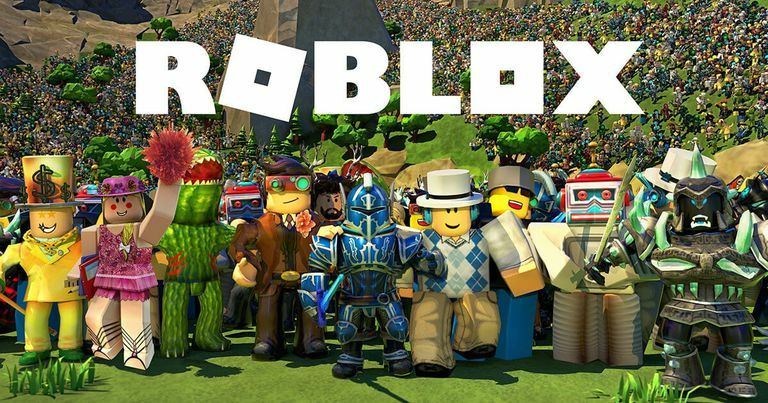 Adding to Roblox's popularity is the fact that it supports most operating systems and devices including Windows, macOS, Android, iOS and even Xbox One. Unfortunately, there has not been a version of Roblox created for Chrome OS. Hope is not lost, however, as there are a few workarounds that might let you play the international sensation on your Chromebook after all. There was a time where the only operating system that could run apps from the Google Play Store was Android, but things have changed and owners of certain Chromebook models can now reap the benefits. This is the simplest and most reliable way to play Roblox on your Chromebook, if you're one of the fortunate ones who can. To find out whether or not your particular model supports Google Play apps, take the following steps. Chrome OS's Settings interface should now be displayed. Scroll down and search for a section labeled Google Play Store. If you cannot find this section, it likely means that your Chromebook model does not support Google Play Store apps and you'll need to try one of the alternative methods found later in this article. If you do locate this section and it is not already enabled, activate it by selecting the TURN ON button and agreeing to the Google Play Terms of Service. Now that you've enabled Google Play on your Chromebook, it's time to install Roblox. Navigate to the Roblox page in the Google Play Store. A progress bar will now be displayed, detailing the status of the file download process. Once complete, Roblox will automatically be installed. Roblox will now launch and prompt you to either login or sign up for an account. To play Roblox at any time going forward, click on the Launcher button in the bottom left-hand corner of your screen and choose the game's icon. If your Chromebook model can't run apps from the Google Play Store, then you'll need to resort to some not-so-ideal workarounds if you want to play Roblox. Unfortunately, none of these alternatives are easy to configure. It should be noted that subpar game performance will almost certainly be an issue when using these methods, but if you can reach a tolerable level of gameplay then it may be worth your time. This alternate method of playing Roblox on your Chromebook only works if you or a friend has a Mac or PC with the game installed, and in the latter scenario allows you to access their computer remotely. By utilizing the Chrome Remote Desktop app, you can connect to another computer running Roblox and play it on your Chromebook within that remote session. To get started, ensure that the computer you are planning to connect to has both the Chrome web browser and Roblox already installed. On your Chromebook, navigate to the Chrome Remote Desktop page in the Chrome Web Store. After a brief delay, the Chrome Remote Desktop installation will be complete and a confirmation message will appear in the lower right-hand corner of your screen. Repeat steps 2-4 on the Mac or PC that contains Roblox, ensuring that Chrome Remote Desktop is installed there as well. Launch the Chrome Remote Desktop app on both your Chromebook and the remote computer, following the on-screen instructions on each to establish connectivity from Chrome OS to the Mac or Windows PC. If you are accessing a friend's computer as just a one-time thing to play Roblox, then you should both choose the Remote Assistance option when the app first launches. However, if you plan to access this computer often to play Roblox then follow the My Computers path – enabling remote connections on the Roblox device. Taking this route will prompt the Mac or PC to install Chrome Remote Desktop Host, and will allow you to establish trusted connections between it and your Chromebook. Once you've established a remote session from your Chromebook to the Mac or PC, simply open the Roblox application and begin playing. While Chrome Remote Desktop can give you full control over another computer, it was not designed with resource-intensive gaming in mind. Because of this, you should be prepared for possible lag, dropped connections, frame rate issues and other annoying interruptions. If your Chromebook model can't run apps from the Google Play Store, then you'll need to resort to some not-so-ideal workarounds if you want to play Roblox. Unfortunately, none of these alternatives are easy to configure. One of the more convoluted ways to get Roblox on your Chromebook is to first install the Linux operating system and then run the game inside a virtual machine or via WineHQ, which allows you to run some Windows applications in Linux. To get started, you first need to install Linux on your Chromebook. Our step-by-step tutorial will walk you through what is a fairly lengthy process. Once Linux is up and running, you'll need to decide whether or not you want to utilize a virtual machine solution or attempt to run the Windows version of Roblox via the WineHQ application. If you'd like to try running Roblox in a VM, first choose a viable option from our list of the best virtual machine programs. After you have a fully-functional VM running macOS or Windows, visit the Roblox website to download the version compatible with your virtual operating system. If you'd like to try running Roblox through WineHQ, first install the latest stable version of the software from its official website. After WineHQ is configured and running, visit the Roblox website to download the game's Windows version. You should now be able to run the Roblox EXE on Linux through WineHQ. As we mentioned above, you should not expect a smooth, seamless game experience when running Roblox on Linux. However, if all you have is an older Chromebook at your disposal this may be your only path.